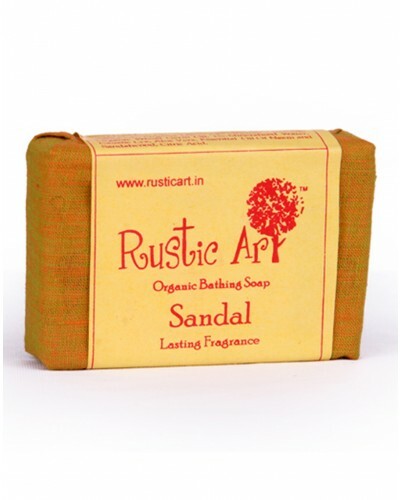 Soothing organic sandal soap. Fragrant and soothing, rustic to the core! No animal ingredient/ no animal testing, soft on skin, suitable for all skin types. 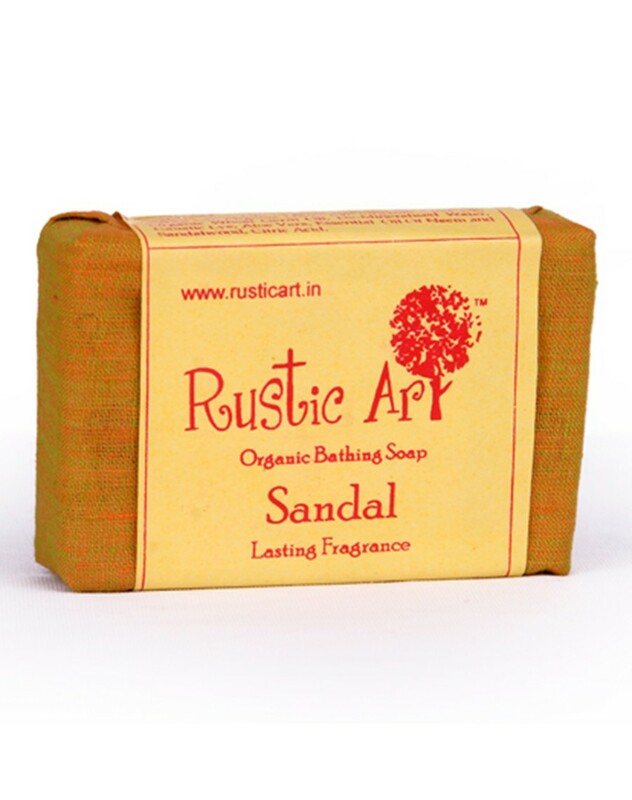 Completely handmade, eco friendly packing, free of chemicals. Keep soap dry. Organic corn oil, organic coconut oil, organic castor oil, organic Neem oil, organic olive oil, organic wheat germ oil, de-mineralised water, caustic lye, aloe Vera, essential oil of Neem and sandalwood, citric acid.